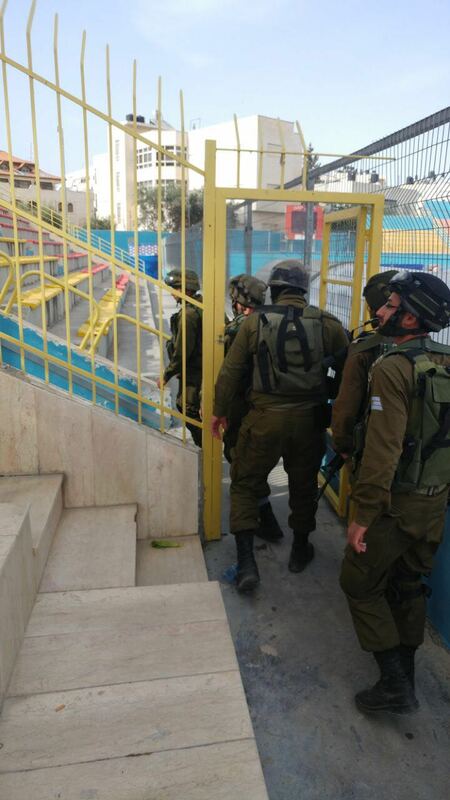 Ever since the 9th of January, which saw Sexwale present his three scenarios for solving the issue of the settlements clubs playing illegally on Palestinian territories, The Israeli Football Association (IFA) found excuses not to meet and discuss the scenarios. The Chairman gave both PFA and IFA a deadline to study the recommendations and comment on them 21 days from the 14th of April 2017. The meeting took place on the 9th of May. The PFA stated that the second scenario could be acceptable, while the IFA rejected all scenarios, even the one that maintains the status quo! With the impossibility of finding common ground. Mr. Sexwale closed the meeting and declared that he will “consolidate” the comments received from PFA and IFA in a report he will present to the Council on that night. Knowing that a decision may be delayed, and to safeguard its rights, the PFA had presented a resolution to the agenda of the FIFA 67th Congress to “recognise the PFA’s entitlement to all its right as described in Article 13 of FIFA Statutes”. 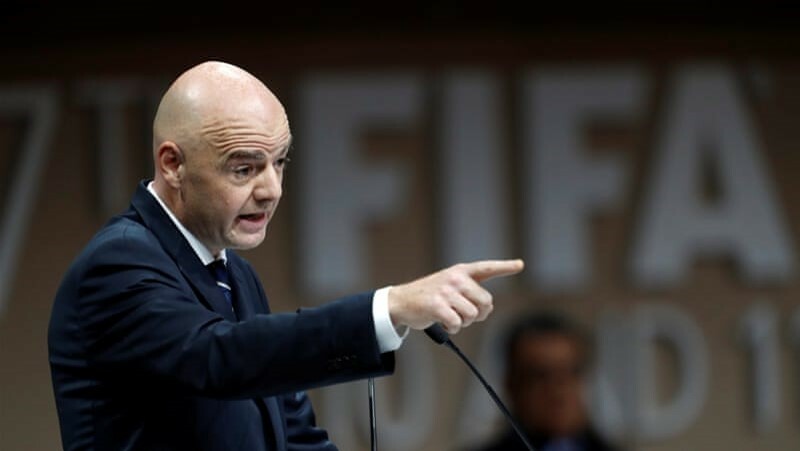 Surprisingly, FIFA allowed political third parties, including the Prime Minister of Israel, to dictate the agenda of the Congress, by relenting to pressure to block the vote on the PFA motion. 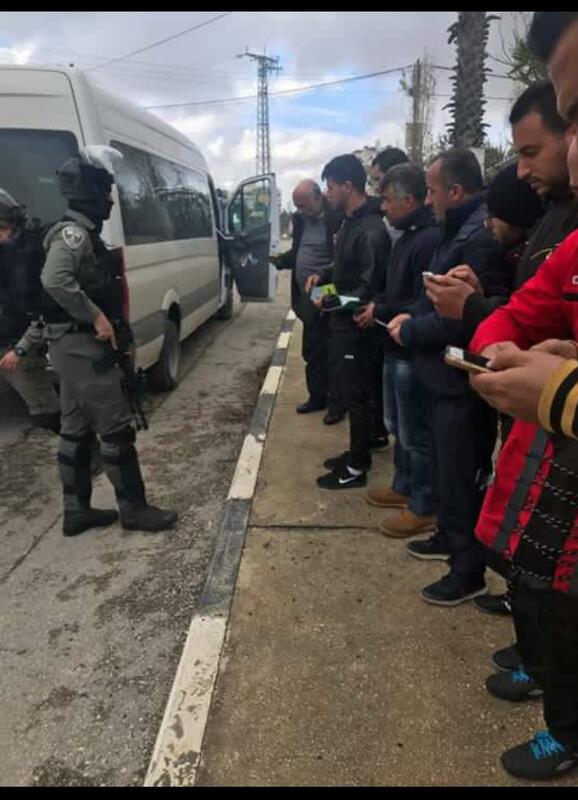 The PM of Israel had, by his own admission, made a phone call to Mr. Infantino, specifically demanding that he take the Palestinian proposal off the agenda! 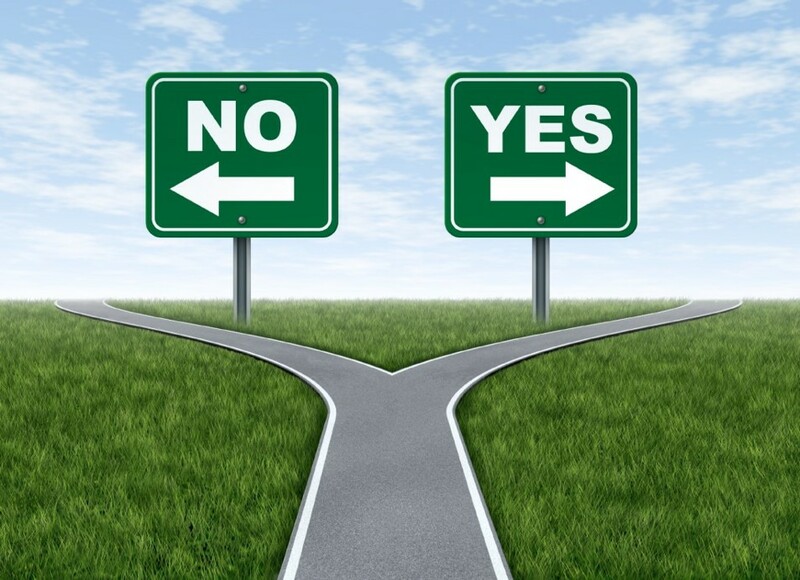 Since it became clear no consensus could be reached on the text of the report, Mr. Sexwale elected to include the remarks of both PFA and IFA with his original draft of the 3 scenarios. The PFA remarks, since they were few, were added as footnotes, while the IFA ones needed a dedicated document. Another meeting of the FIFA Monitoring Committee took place in Zurich on the 25th of July 2017 to finalize the report. The PFA had no other additions on its original footnotes. PFA will continue its fight for sport and football to be played under the rule of law and based on fair play and not abuse. 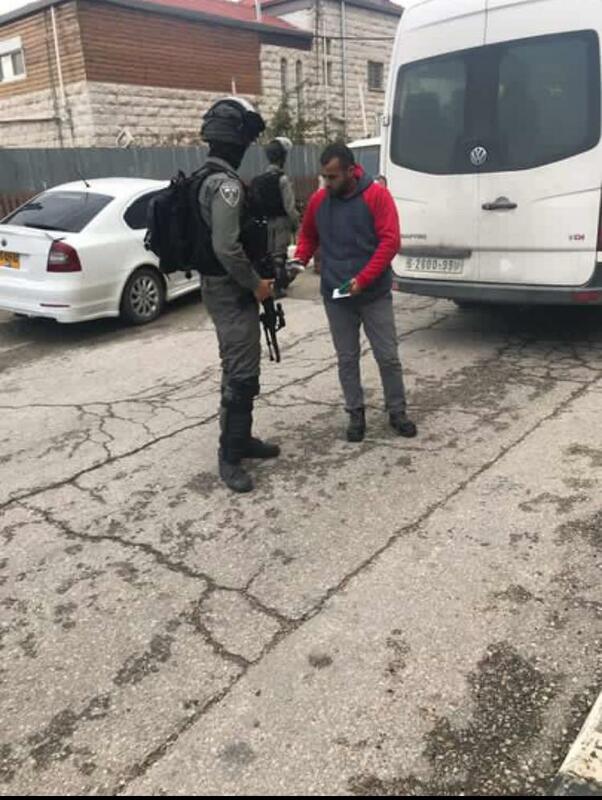 On Tuesday 24 January, 2017, around 3h00 a.m, an Israeli Army Force of about 10 soldiers broke into the house of Mustafa Hussein Sharakeh, holder of ID# 850368648, and a security employee of the Palestine Football Association. 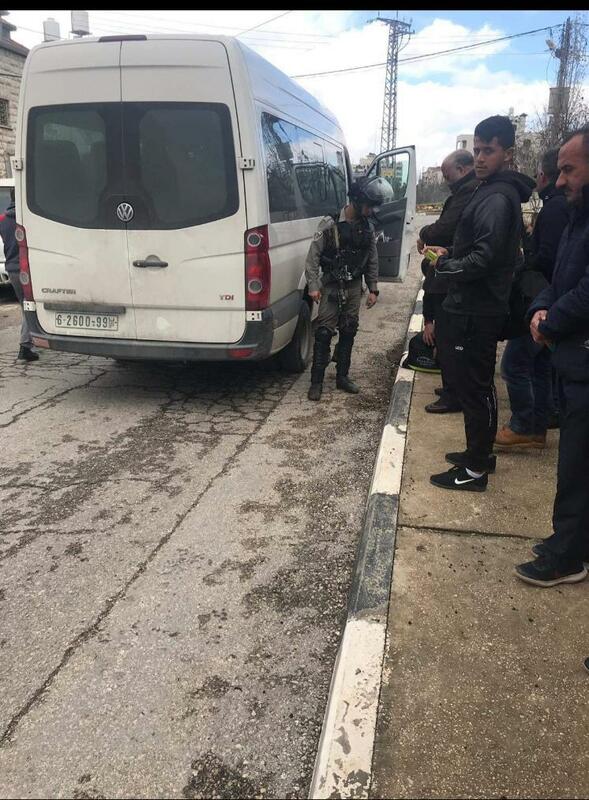 The force, which was part of a larger incursion force into Al-Jalazoun refugee camp, wrought havoc in the house before taking Mustafa to an unknown location. The whereabouts of Mustafa were still unknown at the time this report was written. 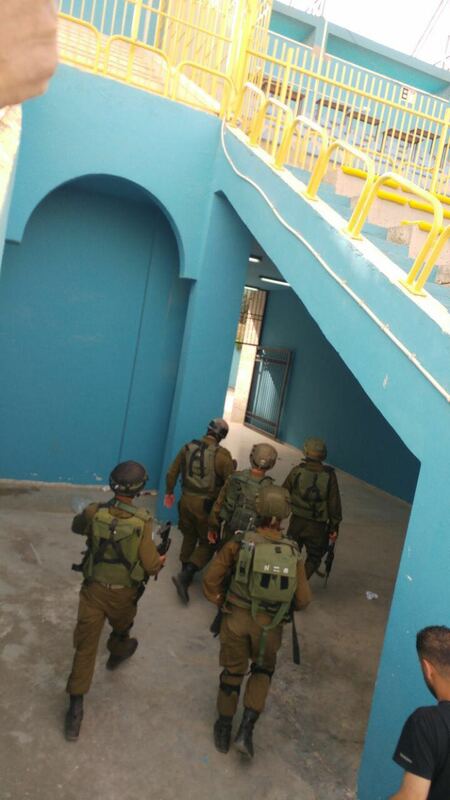 In the afternoon of Monday 10th of April, 2017, a unit of 5 Israeli army soldiers broke into Faisal Al-Hussein stadium during a training session of Al-Ram youth. 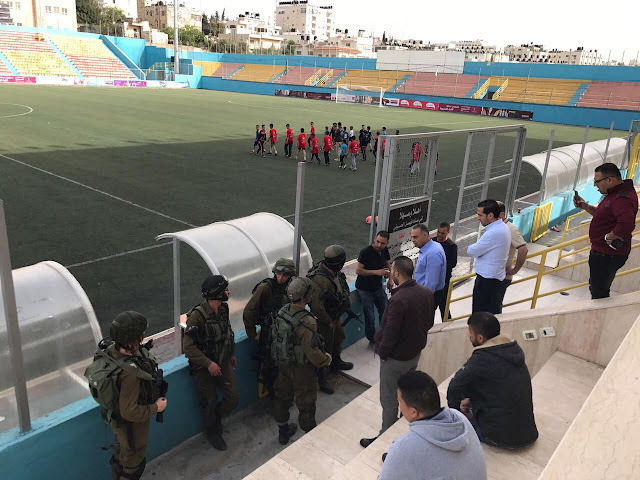 Despite the explanation by the staff that armed soldiers should not be in football facilities, the soldiers walked on, entered the offices, and went straight to the stands were they threatened the General Secretary, Omar Abu Hashiyeh, and his staff. The General Secretary was asking them to leave, when a masked trooper warned him to "remember this day". 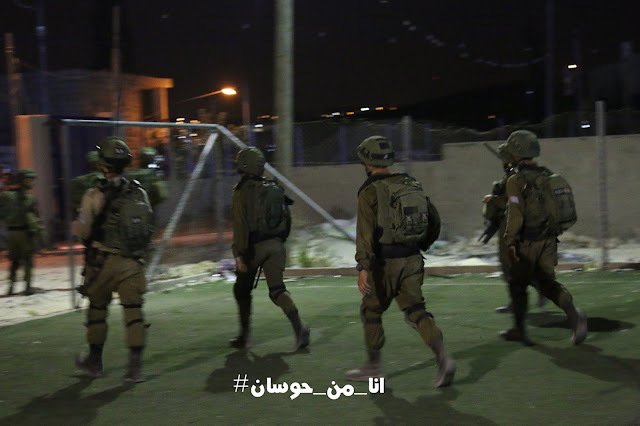 ِAfter a verbal exchange with the staff, the soldiers left without explaining the reasons for this provocation. On Tuesday, 8 August 2017, an Israeli Air force bombed a PFA mini pitch is Al-Sudaniya, Gaza. The pitch, one of 20 mini pitches financed by a FIFA Goal project in Gaza, suffered considerable damage to its turf and surrounding walls. 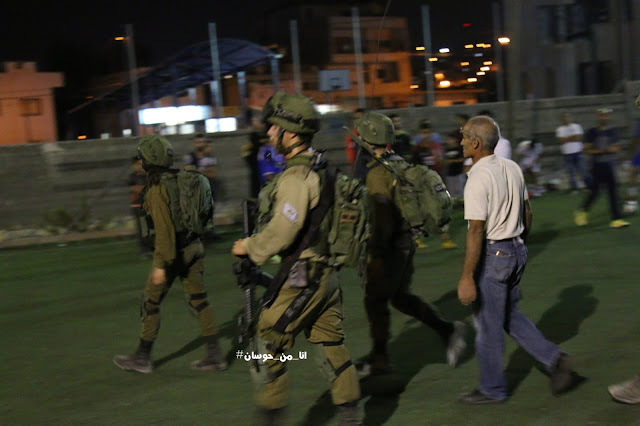 On the evening of 18 September 2017, an Israeli Army force, of 9 infantry soldiers and a Jeep, broke into the Housan pitch, located in the Housan village/Bethlehem, during the training of the local Housan club football team. 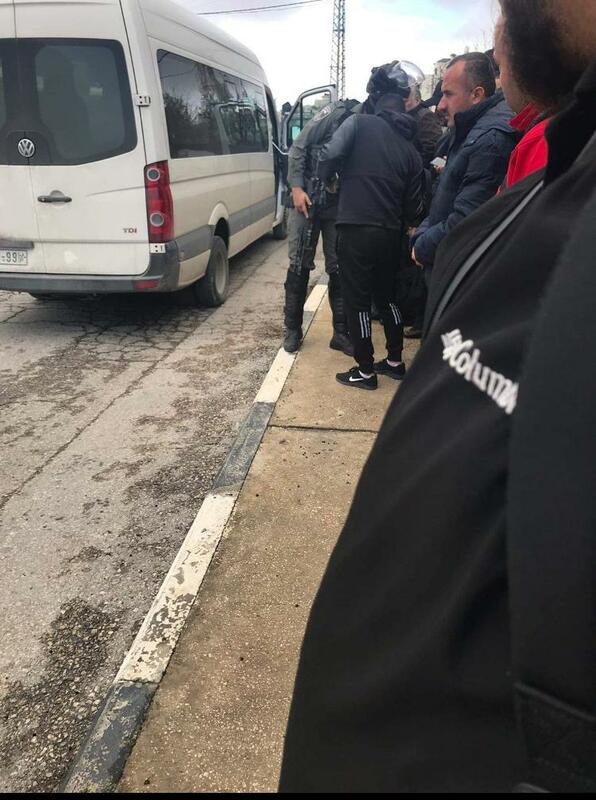 The force stopped the training and detained the players and their coaches while they checked their IDs and messed with their personal belongings. The force did not state any reason for their unprovoked action which caused confusion in the vicinity and disrupted an official training. On Wednesday, October 10, a large Israeli Army force broke into the vicinity of Al-Khader pitch, near Bethlehem, during a football training for Al-Kahader FC team. The force detained the players and interrogated them.Eye witnesses reported that the force detained players who hail from the villages of Joret Al-Shama'a, Um Tuba, and Wadi Fukeen for hours, and threatened to shoot them if they made any attempt to leave the premises. They were released later, but could not finish their training. 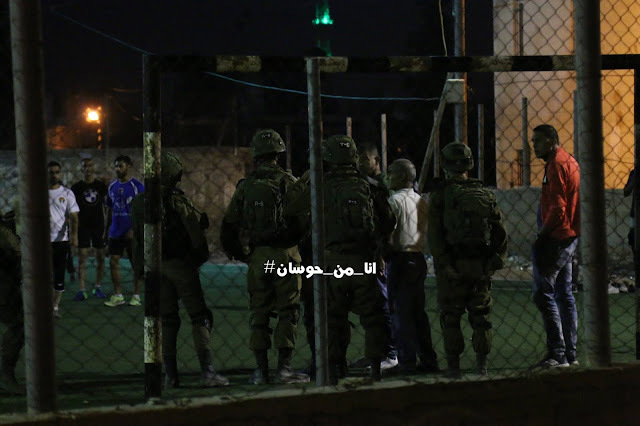 Yesterday, Thursday, December 13, during the Israeli incursion of Al-Bireh, at least three violations were committed by the Israeli occupation Army and border police against footballers, and other sport personnel, without provocation, since these people were trying to carry on with their sport-related duties, and were insulted, detained, threatened and hindered from doing so. The first incident occurred yesterday Thursday, December 13, around 13h00, when a large army force which blockaded the vicinity of the Joseph Blatter Academy caused the cancellation of the inauguration of the youth refereeing school. 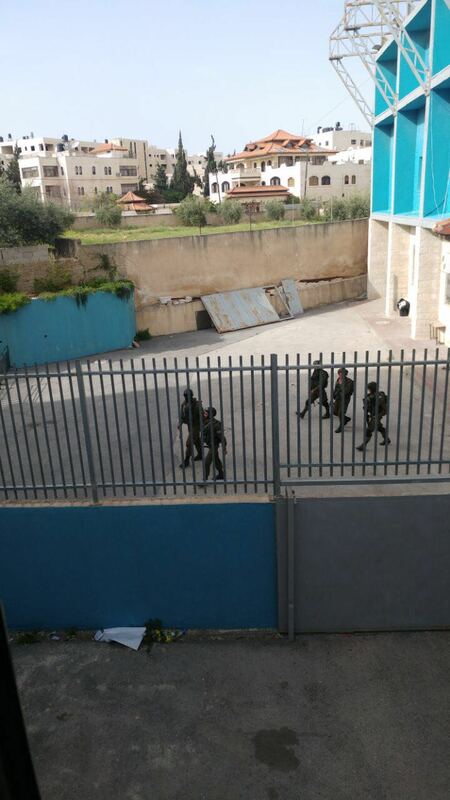 Around 120 kids and their teachers were detained in the academy for hours, before they could board their buses and be allowed to leave. The third incident happened when another Israeli army force broke into the head quarters of the Palestine Olympic Committe (POC) in Al-Bireh, during a meeting of its Executive Committee. 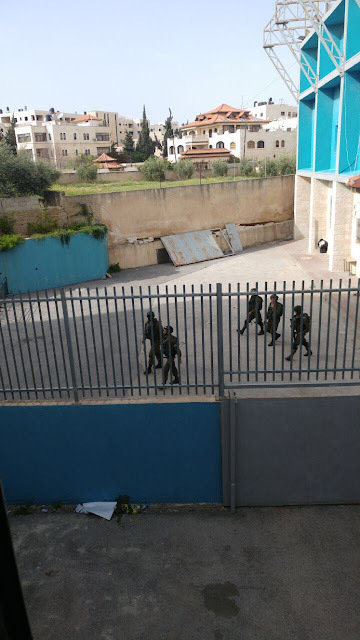 The force, composed of four Military armored vehicles, surrounded the building around 19h00 in the evening of the same day, and prevented anyone from entering or leaving the premises. 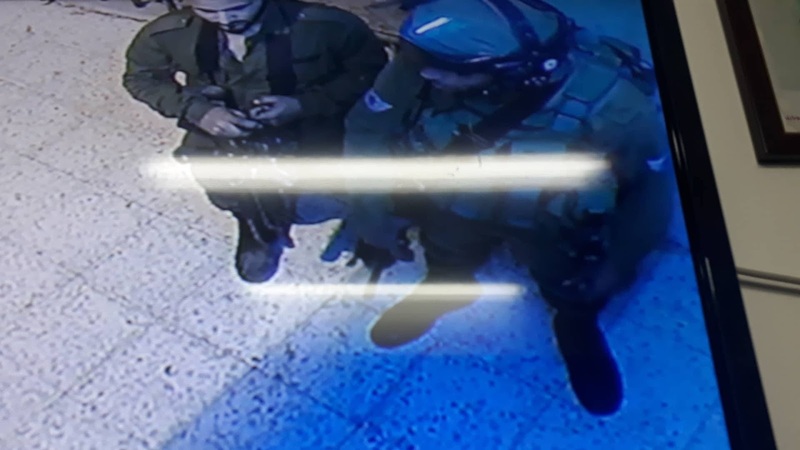 The soldiers physically assaulted the staff and EXCO members, and locked them in a small room while they wrought havoc in the offices for about 30 minutes, and then departed.